Spain. Siesta. Hot weather. Loud laughter. This is what you get when you visit the warm country on the Mediterranean sea. 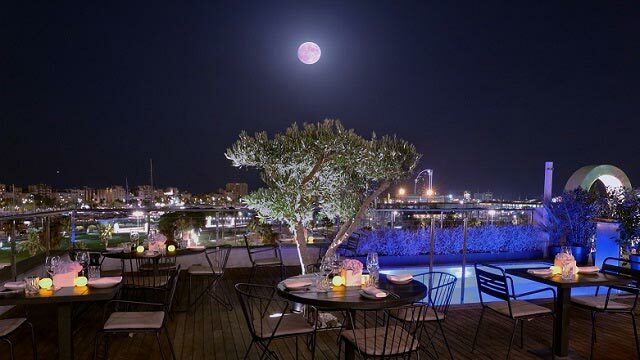 Aside of its beautiful beaches and amazing cultural heritage, Barcelona has a wild nightlife side and plenty of wonderful options to choose from, among some really cool rooftop pools at hotels. 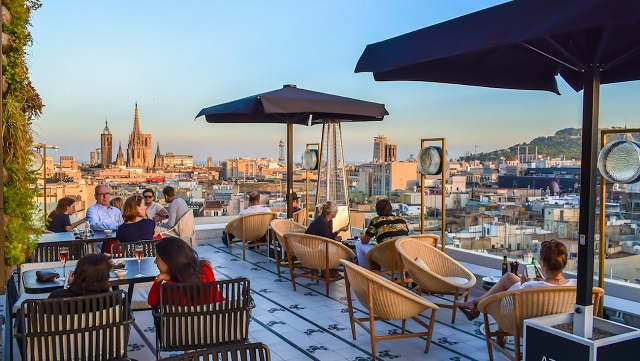 If you're more interested in eating with a view, you can find the best rooftop restaurants in Barcelona here. 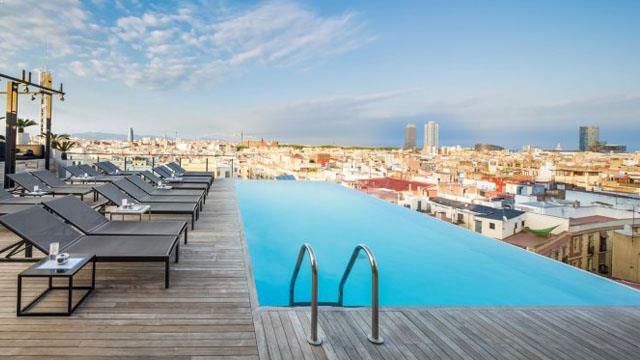 And here’s our list of the 6 best Barcelona rooftop pools at hotels. 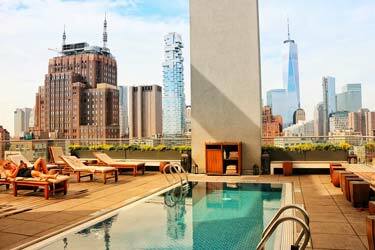 This rooftop pool is quite small and shalow. 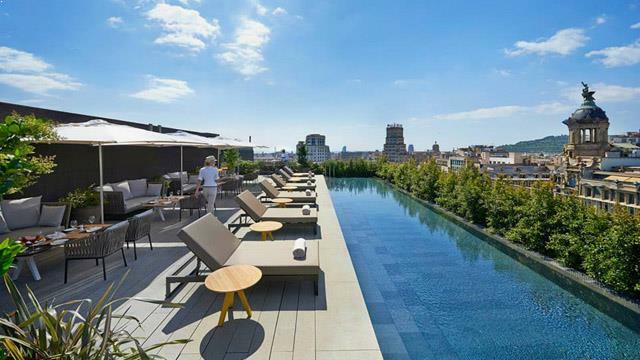 Located on the 5-star hotel Mandarin Oriantal makes this one of the most luxurious swimming pools in Barcelona located at a roof terrace. 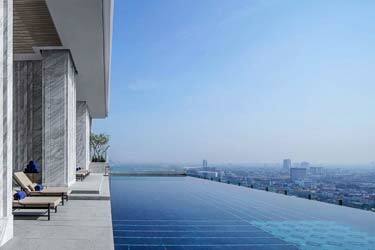 Although it has a catchy name, the Mandarin Oriental is very modern and chic open space with a wonderful pool. 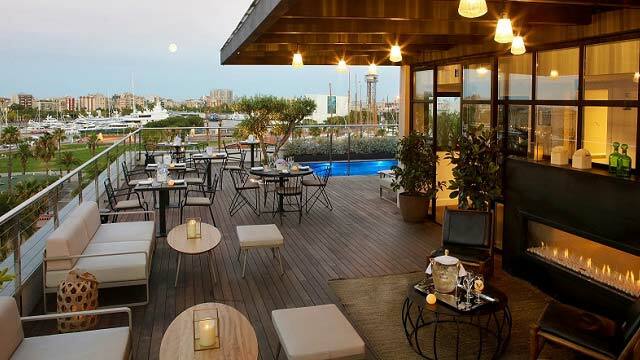 It is ranked amongst the most popular rooftop pools in Barcelona, along with a great menu and drinks list. 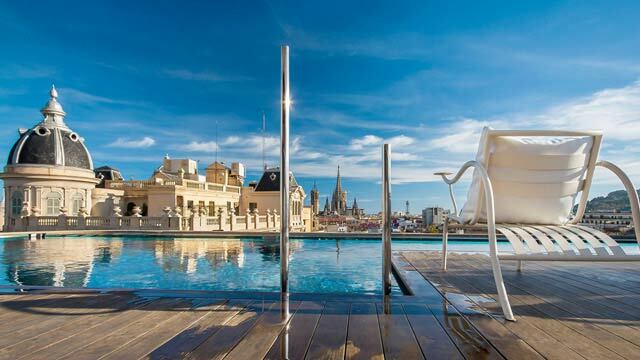 Infinity pool, breathtaking and picturesque landscape, overlooking the 14th century Catalan Gothic church, as well as the La Ribera neighborhood. It's all you need in a hot day in Barcelona. 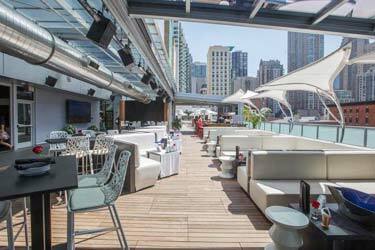 The venue is a preferable choice if you want to experience something modern, yet Spanish. 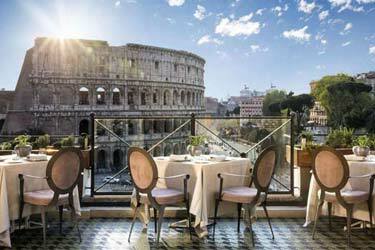 It's limited access adds up to its popularity as it's only the guests of the hotel that can use the swimming pool. 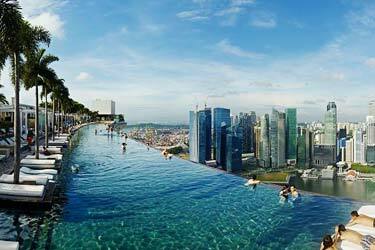 The infinity pool is one of the best and most luxurious in Europe. Are you in awe with the gothic cathedrals and old buildings in the Spanish capital? 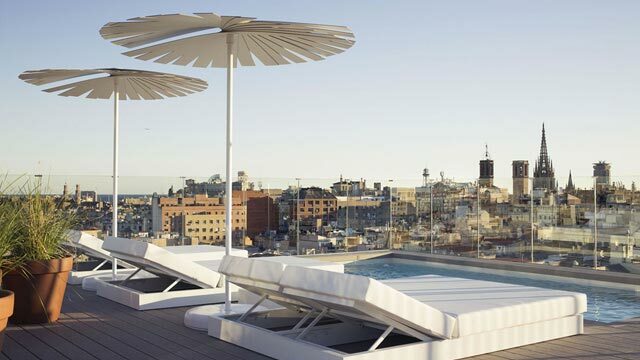 If the answer is yes, then H10 Cubik will let you enjoy the view, while sipping on a great cocktail from inside the plunge pool, being a top choice for rooftop pools in Barcelona. 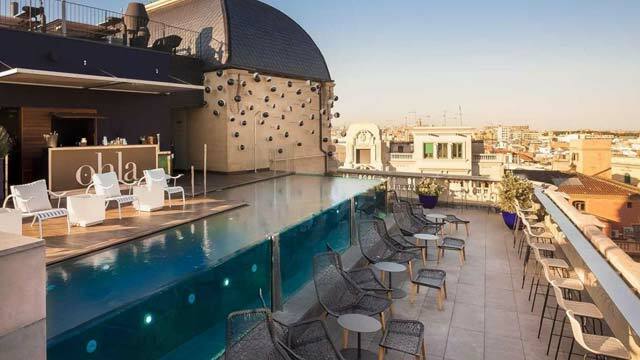 The rooftop pool is quite small and only available for the guest of the hotel. But the view you get from here is amazing. 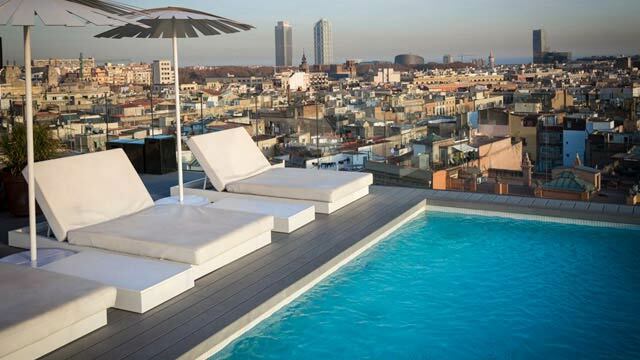 That's what makes this swimming pool a given choice among the best terrace pools in Barcelona. 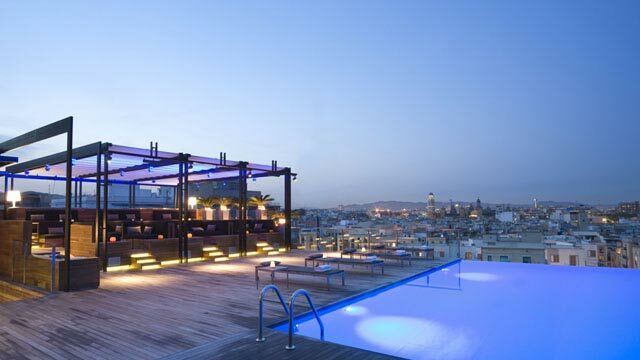 Here you'll find a cool swimming pool, beautiful sundowners and a rooftop bar with very good cocktails. 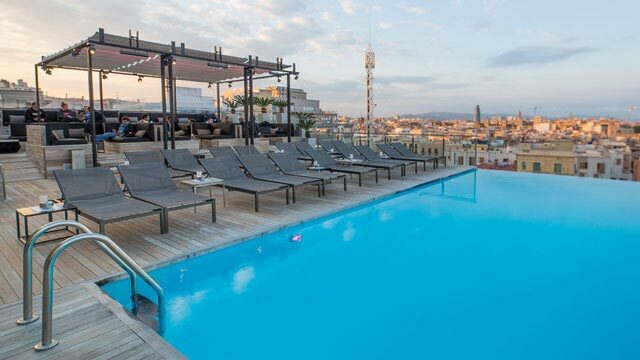 The rooftop pool is only available for the guests of the hotel, but the lounge areas and bar can be used by non hotel guests as well. 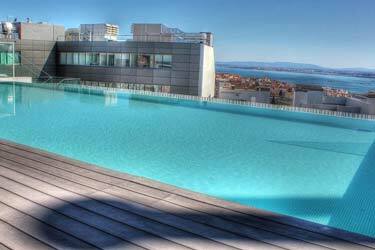 So if you are looking for luxury, quality, harmony and panoramic views, Ohla Hotel has the perfect rooftop pool. 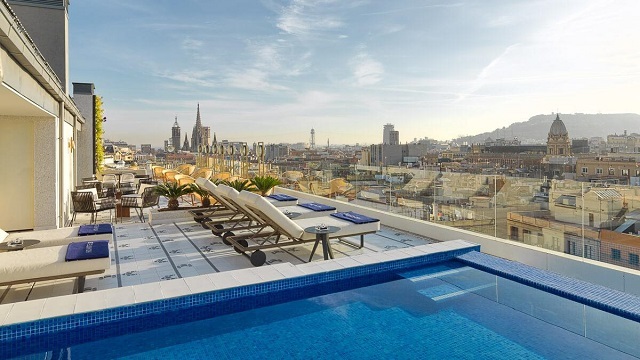 Both for a beer in the sun with one foot in the rooftop pool, and for evening cocktails gazing over this beautiful city. 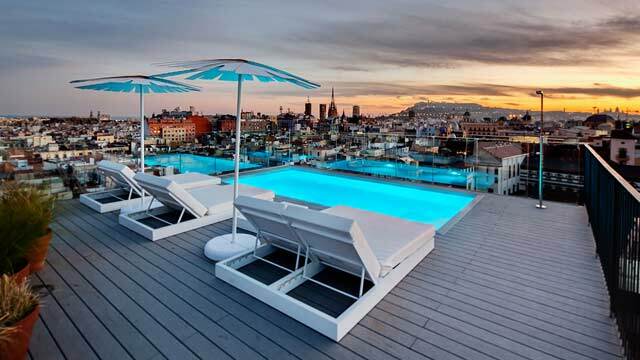 A rooftop pool in Barcelona that both a popular location for both locals and tourists. 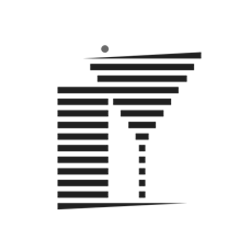 On weekends, the party atmosphere raises, where DJs, live music or concerts are part of the entertainment. 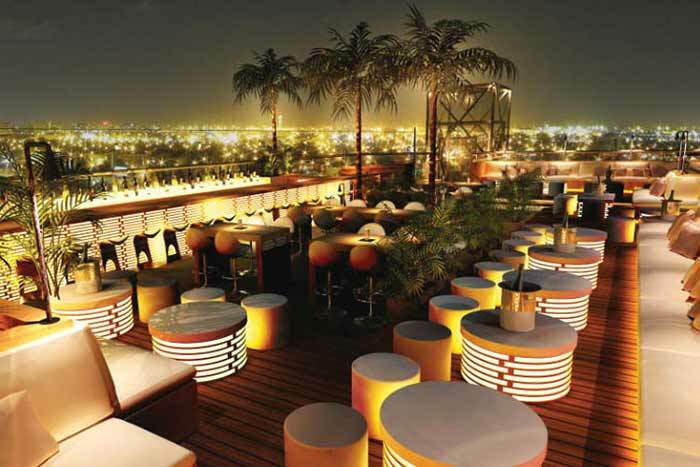 Very nice and modern design on the rooftop, matching the nice and friendly staff. 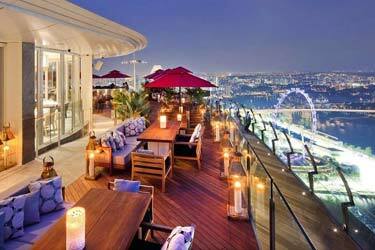 This is the perfect swimming pool area to visit for some nice evening cocktails and hangout. The sunset from here is magical! 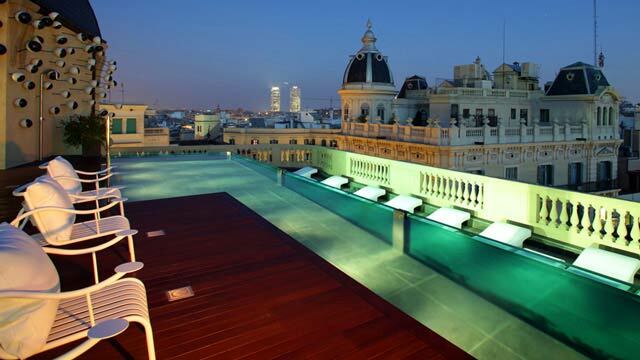 The hotel exposes the visitor to an amazing night skyline of the Spanish capital, having one of the most charming terraces in town. 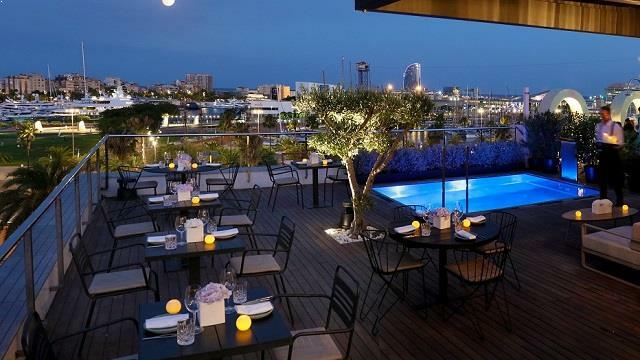 The landscape includes the Port Vell yacht marina, which combined with an exquisite lunch menu and great cocktails, makes the infinity pool the perfect choice for a relaxing afternoon. 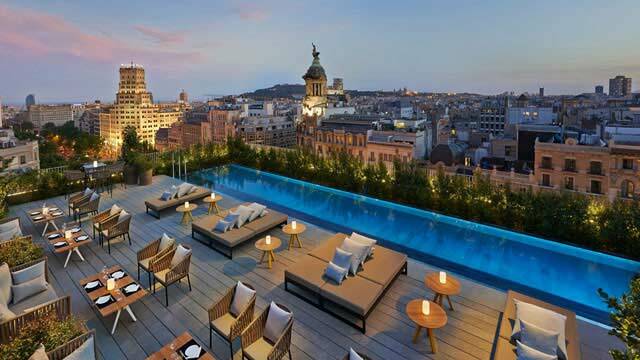 The Serras Hotel is a luxurious boutique hotel with a rare rooftop view for being in Barcelona. 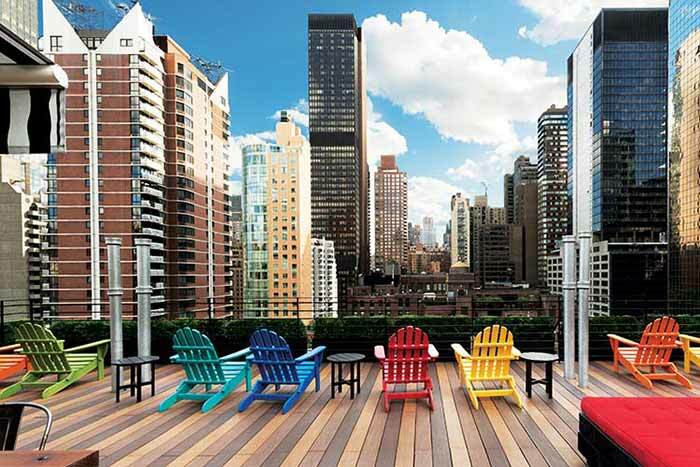 One of few terraces with harbour views. To use the swimming pool, you have to be a guest of the hotel.